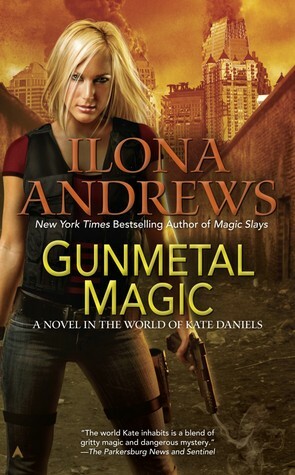 I’ve always enjoyed Andrea’s character in the Kate Daniels series but other than her gun fetish she comes across as being a little too tame to be able to be a bona fide Urban Fantasy heroine. In Gunmetal Magic, we see an entirely different side to her because now she’s free from The Order’s rules and trying to embrace her beastkin blood. I loved watching Andrea come to terms with her new life while in the midst of an impossible battle against a God and a hilariously crazy hyena courtship with Raphael. Ilona Andrews’ remarkable storytelling and trademark sense of humour are out in full force which pretty much guarantees that readers are going to enjoy the Kate Daniels World spin-off series just as much, if not more, than the original. Even though I’ve been following Andrea’s story for quite a while now in the Kate Daniels books I still felt like I was meeting her for the very first time. Her new found freedom from The Order definitely agrees with her and the fact that she’s also finally accepting her Bouda half helped too. I loved everything about this new and improved Andrea, from her Texan drawl right down to her f#@k it attitude about sporting fur in public. I was also happy to see that in spite of her willingness to now use her claws in a fight; her weapons of choice were still her guns. Andrea undergoes a remarkable amount of personal growth in this first installment and I enjoyed watching her work through her issues with The Pack, Raphael and her past. I won’t even bother trying to attempt to explain the explosive, action-y side to this novel’s plot line; for those of you who are familiar with Andrews’ writing, you know that us mere mortals can’t possibly do it justice with words. Just know that it was epic. Amidst all of the bloodshed, creative insults and one-liners fly, which makes this book as comical as it is entertaining. I loved Roman, the supposedly evil yet hysterically funny volhv who has a crush on Andrea. Raphael’s mating frenzy definitely doesn’t help matters either but the best by far was the purple shag carpet incident. Payback is a b*tch but payback hyena-style is something else entirely! I’d recommend reading the Kate Daniels books before diving into this one in order to get the full experience but rest assured that once you visit Ilona Andrews’ Atlanta you’ll never want to leave. In Gunmetal Magic Andrea makes her debut as a full blown Urban Fantasy heroine in and it is something truly awesome to behold. She can hold her own that’s for sure. I hope we get more of her within Kate’s books. I loved the purple shag carpet prank (and what came after). I didn’t have a real high opinion of Raphael. He came off as spoiled and bratty (which he is) but he became a lot more likeable to be after this book. Yes, I agree, Raphael grew a lot as a character in this installment. I wasn’t a huge fan of his either. You should read this pronto! Especially with Magic Rises right around the corner! Awesome review!! This book is just sitting on my shelf waiting to be read! 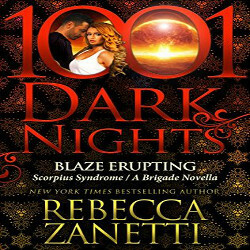 I really need to get to it now that I’ve caught up on the Kate Daniels series! I enjoyed this one as much as the other 4 books, I really liked Adrea, but you got remember, it was a long time in between books, so by the time I got this one I was already dying to be in this world again. Great review, I also loved this book Carmel! And that pink carpet, awesome! I am really looking forward to the next books.